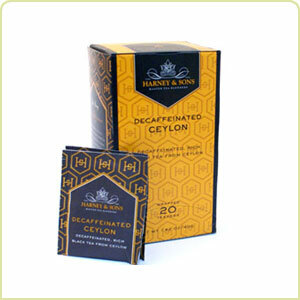 Harney & Son's Decaffeinated Ceylon. High quality black tea with the caffeine removed, but with the depth of flavor left intact. Our customers tell us this Ceylon is the only Decaf that tastes like "real tea".